$750,000. That's a lot of money. But that is how much we need to ensure that the LETU Annual Fund scholarship program has enough funds to bridge the financial gap of more than 90% of students who after pulling together all they can from family, federal and state aid, loans and jobs, still come up short. Closing this gap can mean the difference between attending LETU or going home. Some students come on faith that God will provide the means for them to attend and graduate. They can do this with confidence because LeTourneau has also gone out on faith and committed scholarship support from the LETU Annual Fund at the beginning of the school year trusting generous donors will provide the funding throughout the year. That means $750,000 in one year to ensure the Christ-centered education of more than 1,000 students. All gifts of all sizes matter because the need is so great. Two special giving levels are available to you to support the Annual Fund need: the 1946 Society and President's Circle. Together, we can get to our financial goal of growing the LETU Annual Fund to $1 million over the next three years. Thank you! Contact Rita Courson at 903.233.3831. Update your name, address, phone number and email here! “Estate and Legacy Planning” – Does it Really Matter? Think about this: early in the life of Israel we see the Lord repeatedly reminding them about the importance of passing on to “their children and their children’s children” God’s testimony of faithfulness (Deuteronomy 4:9 and following). God went on to tell the children of Israel that He wasn't’t talking directly with their children, but rather with them – because “their eyes had seen” all that the Lord had done (Deuteronomy 11:2-7). Estate planning, when done with intentionality and by including a narrative of one’s life, can be an incredible means of motivating future generations. Further empowering such planning with tax wise strategies that endow heirs as well as those ministries that have had an impact upon you and your family assures there is a means by which that consistent behavior is facilitated! As always, if we can be of service to you in this area, or for any questions you may have, please do not hesitate to email us at legacyplan@letu.edu or call us toll-free at 903-500-2972 and ask for Tom Bevan. And always a proper disclaimer: When considering what we might point to by way of a benefit to you in any given situation, always assure to consult your legal and tax advisor for what qualifies as the actual tax treatment of that scenario in your unique situation. Scholarships play a major role in the lives of LETU students. More than 90% of the student body receives financial assistance from scholarships, grants, and loans. But with graduating seniors incurring significant financial debt, it is our goal to lessen the burden and increase our scholarship aid. Endowed scholarships play a vital role in decreasing the debt burden on students. Why do LETU alumni and friends choose to establish Endowed Scholarship Funds? To invest in today's students who will influence every workplace and every nation for Christ tomorrow. Recognize and reward outstanding performance by students with demonstrated financial need. Endowed professorships, chairs, programs and schools are also available. Call 903.233.3833 or email Tom Bevan to establish your endowment today. Many companies will match their employees' charitable gifts. Some will even match the donations of retirees or employees' spouses! You can make your money double or even triple and at the same time invest in students' lives. If your company is eligible, request a matching gift form from your employer's Human Resources department. Complete, sign and send in the completed form with your gift- every time you give a gift! Inform your employer of your donation and give them LeTourneau University's mailing address (2100 S. Mobberly Ave. Longview, TX 75607) so they can make the match. We will do the rest. These are just a few of the companies that support matching gifts, click above for details and to find more companies. Giving a cash gift isn't the only way you can support LeTourneau University students. All you have to do is sign up for all the programs below and then let your shopping do the donating. It's that easy! Your normal, everyday shopping will help the LETU Annual Fund provide scholarship aid to deserving students. Thank you! You're going to buy things anyway, right? Here are some ways your purchase can benefit LeTourneau University. Start your shopping at smile.amazon.com, choose LeTourneau University as your selected organization, and the AmazonSmile Foundation will donate 0.5% of the price of your eligible purchases. 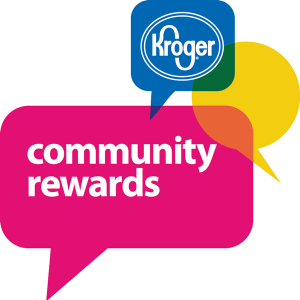 If you are a KrogerPlus member, Kroger's Community Rewards program donates a portion of your eligible purchases to the organization of your choice. Choose LETU! Visit https://www.kroger.com/topic/kroger-community-rewards-3 to enroll with your membership card and choose LeTourneau University (NPO# 84780). Don't forget to re-enroll each year to continue in the Community Rewards program. 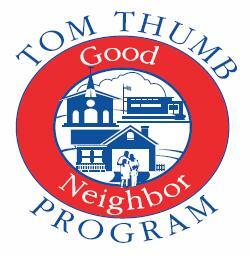 Tom Thumb's Good Neighbor Program allows customers to direct donation dollars to a favorite church, school or other non-profit organization. Visit the courtesy booth at your local store to link your reward card to our account (use our Charity# 9090).